Have you ever found yourself wondering what to do for that next party, event, picnic or convention? Does it seem like you are short on ideas? Could use a little help? Grand Illusions is your answer. 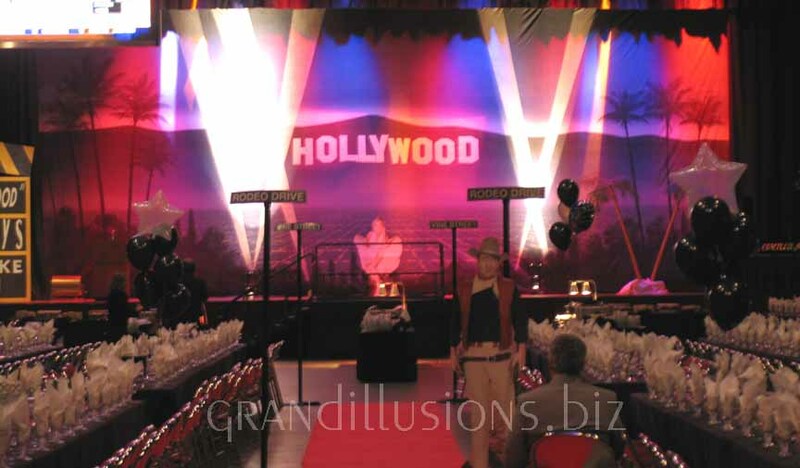 At Grand Illusions we have been planning events and parties for 29 years. We can provide creative mailers, brochures and other printed or electronic media for you. We can take care of every detail or just fill-in with particular pieces. Besides planning, we offer a full line of decorating. We do theme parties, informal get-togethers and formal events. And, if your event needs special props of any kind we can create or find what you need. Whether your party is for 30 or a couple of thousand, we can handle the job. Anything is possible! *Click here to learn more about our work with Corporate Events. **For information about Prom decorations, click here.